The first pizzas were simple, flat breads topped with herbs and olives. When tomatoes were brought back to Italy by explorers from the Americas in the 1600s, they were topped on the flat breads, too. We learn from an old story that in 1889, to honor Queen Margherita of Italy, the pizzamaker Raffaele Esposito created “Pizza Margherita”, with tomatoes, mozzarella, and basil, which contained the red, white and green colors that are represented on the Italian flag, and the Margherita pizza was born. For those who prefer gluten-free options, try out our Cauliflower Pizza for a very new twist on this classic food that kids will love too. Quite a departure from the traditional pizza crust is a gluten-free way to eat your veggies. Best of all, cauliflower has lots of vitamin C! 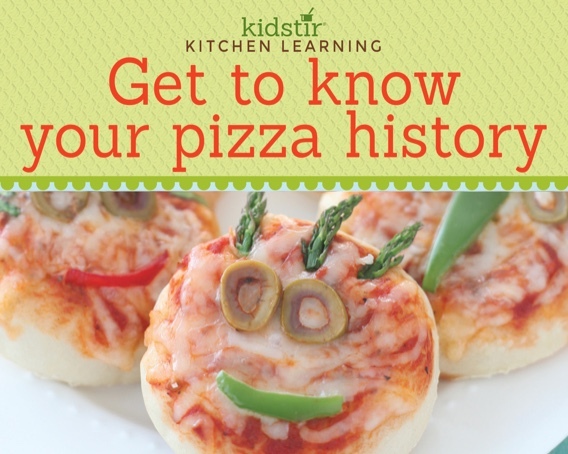 We’d love to offer the Kids Pizza History Infographic for you to share on your blog. Just select and copy the code snippet below and paste into your next blog post. 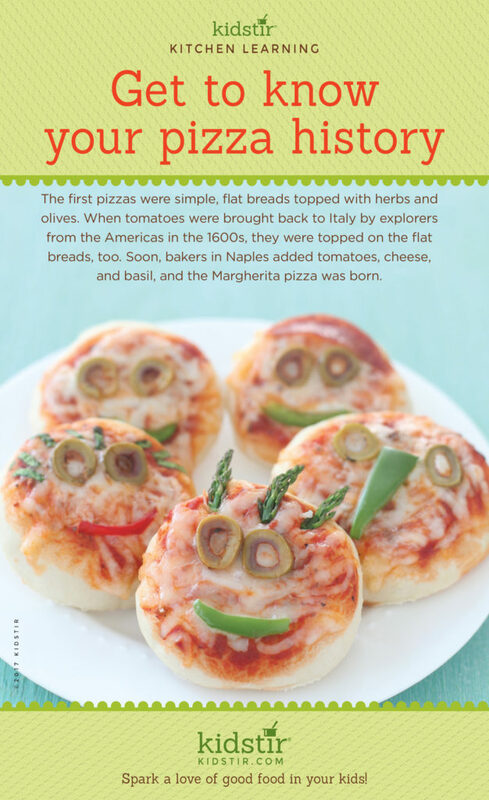 We’d love for everyone to share this page on social media or email using the buttons below so all the kids you know can learn how pizza came to be one of the most popular kids foods!